Ben Cline’s values were shaped growing up right here in the Shenandoah Valley. He graduated from Lexington High School in 1990, and earned a law degree from the University of Richmond. Introduced by mutual friends, Ben and his wife Elizabeth met in 2004, and are raising their daughters in Rockbridge County. Ben’s made a name for himself taking on the status quo in Richmond – never failing to champion common sense, conservative legislation that challenged the liberal orthodoxy of several sitting Democratic Governors. As co-chair of the Americans for Prosperity (AFP) chapter in Virginia, Ben was at the forefront of protecting our economic freedom. From helping kill Tim Kaine’s tax hike to crafting budget cuts to our bloated state bureaucracy, Ben was at the center of the resistance against the push for bigger and unaccountable government. This year, Ben Cline’s multi-year effort to end unrecorded voice votes in the General Assembly finally became reality. Now, no bill can be killed without the public knowing which elected officials voted to do so, a major victory for transparency in Richmond. He also stood up to his own party leadership in the House of Delegates when they pushed to join Democrats in raising taxes. Ben wouldn’t have it. He’s forged a path in the General Assembly as a leading conservative fighter serving as House Chairman of the Conservative Caucus, holding those in power accountable and fighting to clean up bureaucratic waste and the political cronyism that grips our system. Ben successfully pushed the first significant tax relief since the car tax passage, while also sponsoring legislation that would ban sanctuary cities and a “Constitutional Carry” bill to allow law abiding individuals to carry concealed weapons. His leadership on protecting the 2nd Amendment is highlighted by his recent appointment as Chairman of the Militia, Police and Public Safety Committee in the House of Delegates. He is the last line of defense in the General Assembly against the Democrat’s aggressive gun control agenda. Ben’s efforts have earned him the American Conservative Union’s (ACU) “Conservative Excellence Award” as well as top ratings from leading conservative groups like the VA Tea Party Patriot Federation, the Virginia Family Foundation and an A+ rating from the NRA. While in the House of Delegates, Ben is also an attorney in private practice and has previously served as an Assistant Commonwealth’s Attorney. Prior to that, Ben owned his own small business providing marketing assistance to rural internet and high-tech companies. Upon graduating from college, he served as an aide to Congressman Bob Goodlatte, where he eventually became Chief of Staff. Ben and his family attend St. Patrick’s Catholic Church in Rockbridge County. He is a member of the Kerrs Creek Ruritan Club and the Lexington Lion’s Club. Benjamin Lee Cline (born February 29, 1972) is an American politician of theRepublican Party. He is currently serving his eighth term in the Virginia House of Delegates. He was first elected in a 2002 special election, replacing incumbent Delegate Vance Wilkins who resigned the seat. He currently represents the 24th district, consisting of Bath and Rockbridge Counties, the cities of Buena Vista and Lexington, and parts of Amherst and Augusta Counties. In November 2017, Cline announced his candidacy for Congress from Virginia’s 6th congressional district in the 2018 election. On May 19, 2018, Cline won the Republican Party nomination for that election on the first ballot at the district convention. 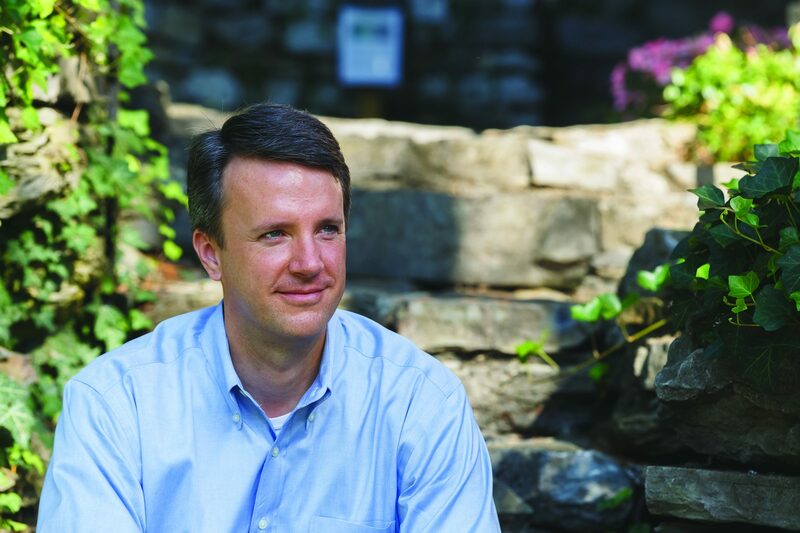 Cline started his political career in 2002 by running for the House of Delegates seat left vacant by Vance Wilkins, who resigned due tosexual harassment allegations. Cline won in 2002 with 57.43% of the vote despite Democratic opposition from current LexingtonMayor Mimi Elrod. In 2003, Cline won again with 69.17% of the vote against Independent E.W. Sheffield. In 2005, he won with 62.44% of the vote against Democrat David Cox. Cline ran unopposed in 2007. In 2009, Cline ran against Amherst native and Democrat Jeff Price and won with 70.86% of the vote, taking the Lexington City precinct for the first time since his election in 2002 and also taking every precinct in the 24th House of Delegates district. Cline ran unopposed in both 2011 and 2013. In 2015, Cline won 70.8% of the vote against Democrat Ellen Arthur. In 2017, he won re-election with 72% of the vote against independent candidate John Winfrey. In November 2017, Cline announced he would run for Congress in Virginia’s 6th congressional district in 2018 for the seat being vacated by the retiring incumbent Bob Goodlatte. CLINE, BEN L has run in 9 races for public office, winning 9 of them. The candidate has raised a total of$1,985,942. Cline “is staunchly anti-abortion.” In 2007 and subsequent years, Cline has introduced legislation which requires that information regarding the option of providing anesthesia to the baby be given to women seeking abortions after 20 weeks and required doctors to do so if requested by the mother. In 2006, Cline patroned HB1125, which created a school sales tax holiday in the Commonwealth, and HB1135, which allowed for members of the military stationed in the Commonwealth to receive in-state tuition in Virginia. In 2007, he patroned HB2168, which created the Community College Transfer Grant Program. In 2008, Cline supported the opening of an Amherst branch ofCentral Virginia Community College and new facilities for the Rockbridge branch of Dabney S. Lancaster Community College. 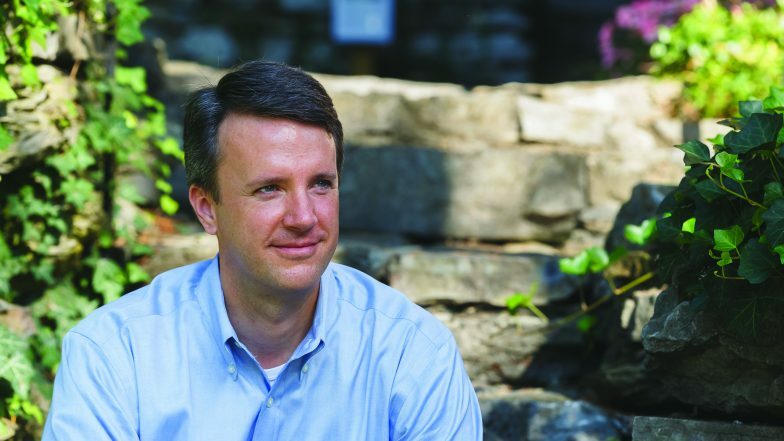 In 2009, Cline patroned, but did not have included in the final state budget, amendments that looked to cut the budget of the Virginia Lottery in half, which would in turn put those fund into the Literary Fund used to fund public schools in Virginia. In 2003, Cline introduced HB2227, which made it a felony to assault retired law enforcement officers, and HB865 in 2010, which imposed the same penalty regarding assault of campus police officers. In 2003, he introduced HB2230 & HB 2232 to help local probation officers and pretrial services officers. In 2005, he introduced HB1514, which allowed sheriffs’ offices and volunteer rescue squads to get reimbursed for the costs of responding to DUI crashes. Cline was named Legislator of the Year by the Virginia Court Clerks’ Association in 2011 and by the Virginia Sheriff’s Association in 2012. Cline has also introduced several bills regarding the rights of defendants and inmates. In 2003, he introduced HB2231, which gives greater access for probation officers to juvenile defendants’ records so that risk assessments could be more easily prepared. He opposed the closure of the Natural Bridge Juvenile Correctional Center in 2009, which was the last remaining facility solely for nonviolent offenders in the Commonwealth of Virginia at the time of its closing. and introduced HB873 in 2010 to require the Department of Juvenile Justice to keep at least one facility open for non-violent juvenile offenders. In 2012, Cline helped negotiate a compromise between law enforcement and prisoner advocates regarding HB836, which restricted the usage of restraints on pregnant inmates, by supporting the intent of the legislation in the form of a rule change by the Virginia Board of Corrections and won praise locally for his involvement on the issue. In 2013, Cline helped craft and supported HB2103, which improves parole process for inmates still eligible for parole in Virginia. If you have any questions for Ben Cline, send them to Virginia onAir at virginia@onair.cc. Virginia will first see if Ben Cline has answered your question somewhere else. If they haven't, Virginia will pass on your question to Ben Cline and post their answer, if they have one. If you have any suggestions for Ben Cline, especially if you are a current or former constituent, send them to Virginia onAir at virginia@onair.cc. Virginia will record your suggestions here. If you have something positive to say about Ben Cline and you are a Virginia onAir Hub member, send your recommendations to Virginia onAir at virginia@onair.cc.